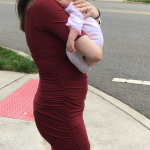 Prenatal Yoga Center | Mom of the Month: Meet Nadine Katkhouda! Community and support are a vital part of Prenatal Yoga Center. 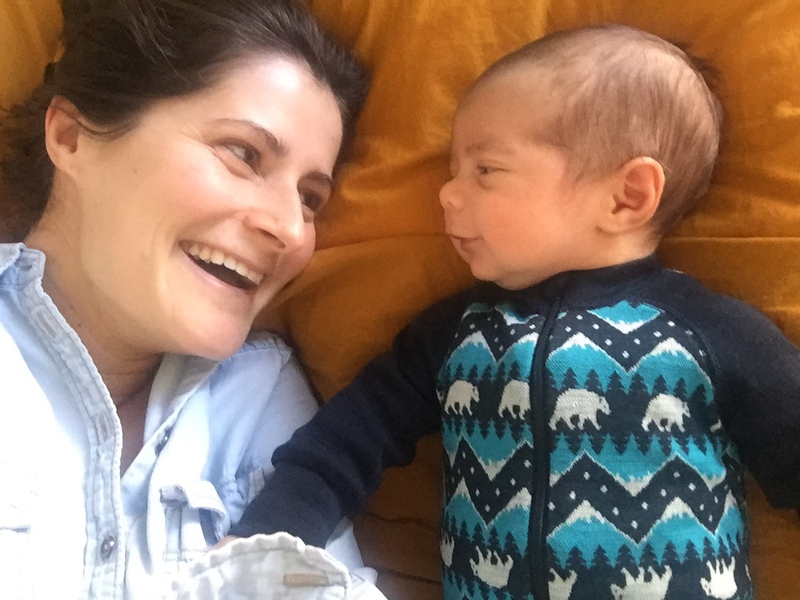 To help encourage relationships and get to know one another a little better, we like to introduce a new mom and her baby each month. This month, please meet Nadine and her son Remy! 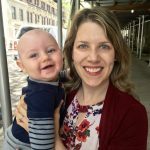 We asked her 4 questions about being a new mother, her responses are wise, honest, and heart warming. 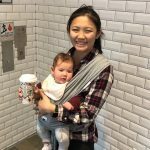 What is one thing you wish you would have known before becoming a mom that you think would be important for other new moms to know? Bonding with your baby may not be instant at birth. But the more time you spend together, the more experiences you share, the more your bond will grow and deepen, until your heart is so full. of. love. It’s teaching me to be so much more patient, less selfish and most of all, to be present. I had to throw away my to-do list! What was the most helpful thing a relative or friend has done for you since your the birth of your little one? Bringing food. The first weeks are about survival. I barely had time to shower, let alone cook! One of our friends sent us an amazing care package filled with delicious treats such as bagels and lox. Eating something delicious every morning was a great way to start the day, especially after a rough night. What is your favorite way to bond with Remy? I love giving Remy a massage. His eyes open really wide with pleasure and wonder at each new sensation. And now he coos. It’s our little ritual.